Chinese Tone Sandhi refers to the situation where the Tone of a syllable gets changed or modified because of its neighboring syllables. So in Chinese Tone Sandhi are basically the commonly shared Chinese Tone change rules. However, the Tone only changes when speaking, we will still write it as the original Tone. 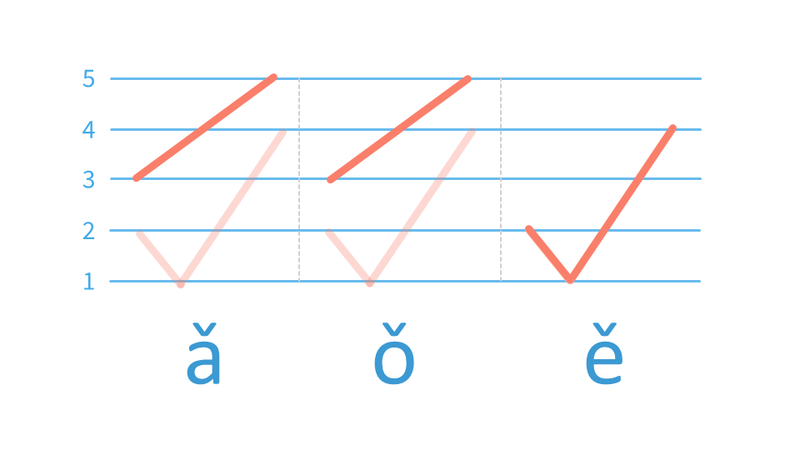 Mandarin Three Third Tones in a row is one of the many Chinese Tone change rules, and probably deserves the most attention. It is crucial if you want to sound native. 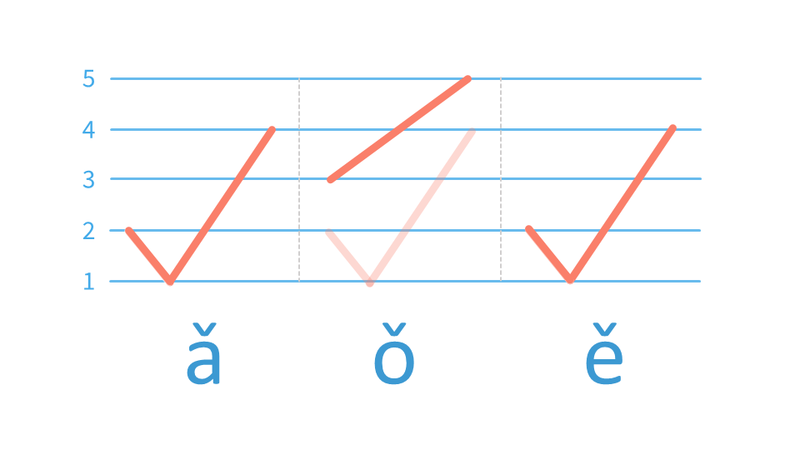 How to Pronounce "Mandarin Three Tones in A Row"
There are three different ways for three Third-Tone syllables to be put together, as shown in the chart below. We need some vocabulary and grammar skills to analyze the structure and decide the Chinese Tone change rules here. But nothing too advanced. In Situation I, three number "nine" are equally put together, the first two syllables both change into the Second Tone. In Situation II, (syllable A + B) is a word, and it modifies syllable C. Both (syllable A + B) change into the Second Tone. In Situation III, syllable A is a word, and it modifies (syllable B + C). Only syllable B changes into the Second Tone. Also, syllable A in this situation is actually pronounced in the Half Third Tone, which we'll discuss in the next lesson. I wish that I had found this site earlier. I purchased a text book that covered HSK Level 1. It explained the tone rules covered in lesson six (two third syllable’s in a row). However, it did not explain how to pronounce three or even four third tone syllable’s in a row (e.g. 我也想走) Listening to the recorded conversions (with Chinese speakers) did not help because I could never be sure if the speaker used second or third tone to pronounce a syllable or if I imagined it. I also like that each video is accompanied by notes so I can watch the video, read the notes, then maybe watch the video again. Hi! So for the three types of three 3rd tone structures, in the third structure, xiao remains a 3rd tone because it is its own word, right? If so, then in the first structure, why doesn’t the first jiu remain a third tone, since jiu is its own word too? Shouldn’t it be jiu(3rd tone)+jiu(2nd tone)+jiu(3rd tone)? I and also many others beginners have a lot of trouble with long sequences of 3rd tones. I got already some hints from teachers/chinese persons, you can separate some chunks according to grammatical structure and speak them separately. You made the point that we should do the tone sandhi separate for each (description particle plus word). So i don’t need to transfer the tone Sandhi for example between Subject and Predicate? I appreciate further details on this topic! For the Third Tone, just remember that unless there is a pause in-between, two full third Tones are never spoken together. The rules of [(AB) + C] and [A + (BC)] applies for [Subject + Predicate] as well. The number of characters decide whether to apply [(AB) + C] or [A + (BC)]. For your example, would be “Wǒ hényǒu”. Thanks Lili for the explanation. Where to make breaks in chinese sentences is another difficult question for me. Maybe you could explore this topic in the future.